Are you ready for a kitchen makeover? Because Dolce & Gabbana certainly is! 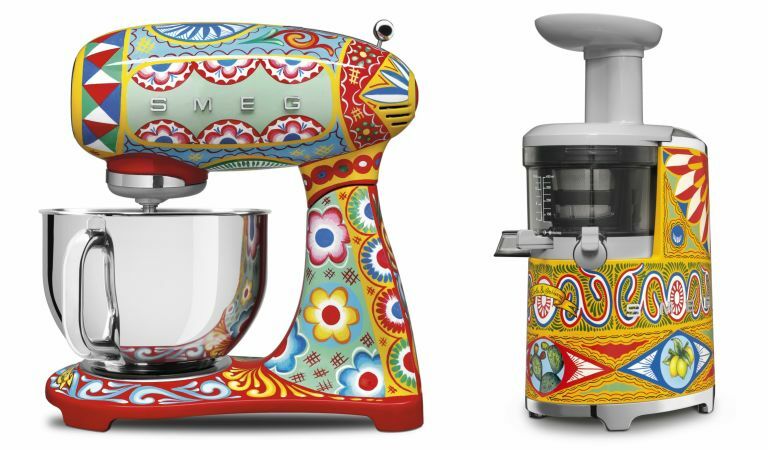 The fashion powerhouse has teamed up with the Italian company Smeg to create a line of gorgeous, brightly colored kitchen appliances that could easily double as art for your home. 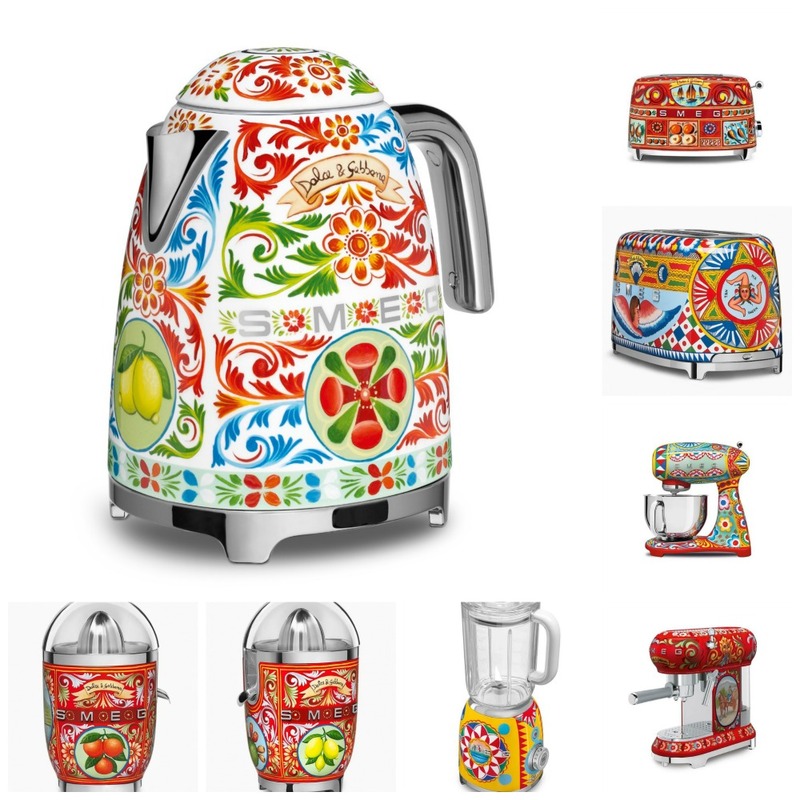 The collection – called ‘Sicily Is My Love’ – includes juicers, toasters, coffee machines, teapots, blenders, mixers, and more. Inspired by Southern Italy, the items feature patterned prints that incorporate floral, leaf, lemon, pear and cherry motifs. 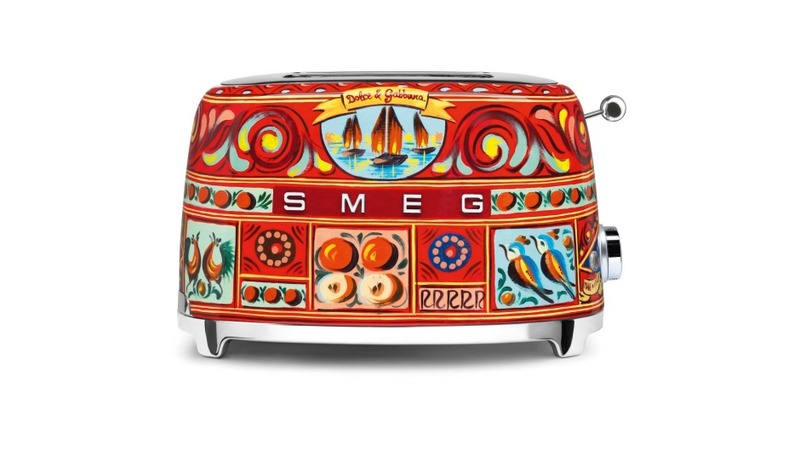 This is not the first time Dolce & Gabbana has worked with the high-end appliance manufacturer. Last spring, they created 100 hand-painted refrigerators for Salone Del Mobile, Milan’s design fair. Each one was priced at $34,000. The highly-anticipated ‘Sicily Is My Love’ range is set to roll out in October and the price list for the countertop appliances is yet to be determined.